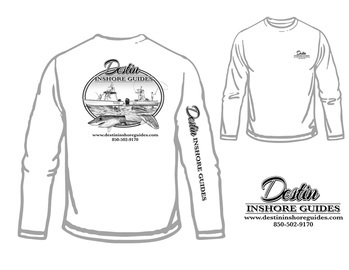 Come take full advantage of all your vacation time and go night fishing with Destin Inshore Guides. Fishing at night makes fishing in the hotter months more comfortable without battling the hot sun. Come out for an adventure of a lifetime chasing Redfish and Speckled Trout under the moon light on calm waters. On these trips we fish around local docks that are well lit both on the surface and underneath. At night bait fish are attracted to these lights exposing them to lure in the trophy fish from the dark. 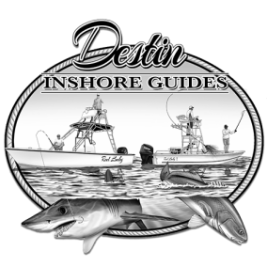 The most common species to catch are Redfish and Trout, other species to expect are Lady Fish "Skipjacks", Blue Fish, Flounder, Sheepsheads, and Black Drum. "Fishing at Night was the most memorable event of our vacation! My husband and I got to spend time without the kids enjoying the moonlit water, just like we used to when were younger! Not to mention we caught several big Redfish!"